Positives, both on the economic front and in the banking business, are rekindling banks� interest in consumer financing. Between July-November 2013, banks� consumer financing rose to Rs13.8 billion from just Rs3.8 billion in July-November 2012, statistics released by the State Bank of Pakistan show. Consumer financing, after remaining depressed for a few years, picked up for the first time in FY13. Bankers say the amount should exceed Rs25 billion in FY14, insisting that the trend seen so far is expected to continue. Their optimism has some reasons. Personal loans to individuals are expanding; car sales are up; demand for household electronics is increasing; and credit cards are back in business. �Housing finance is also expected to recover soon,� says the head of retail banking at a local commercial bank. This is true chiefly in the case of rural areas, where prior to the launching of consumer finance in mid-2000s, people had no access to formal financing to buy cars, TVs, refrigerators, washing machines and other consumer items. Consumer financing, after having grown too fast till 2008, became stagnant, and even turned negative between 2008 and 2011, because of low economic growth and banks� aversion to it to contain bad loans. But from 2012, things changed for the better. Banks dared to make new consumer loans, realising that years of no or low activity in this area was affecting the growth of their interest income. 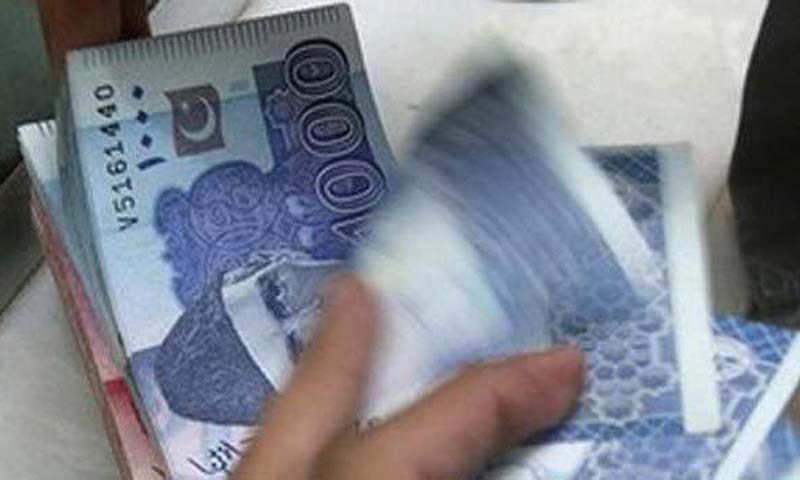 �Consumer finance [because of being pricier] almost always brings higher returns and stability in earnings,� says a former president of the state-run National Bank of Pakistan (NBP). Unlike in the mid-2000s, when cars constituted the bulk of consumer financing in the country, banks are now lending huge amounts of money under their personal loan schemes. In FY13, net loaning in this area totaled Rs11.1 billion. Bankers say during FY14, personal loan volumes should be even higher, as the Rs11 billion-mark has already been hit in five months to November 2013. In making personal loans, most banks judge the credit worthiness of borrowers by their monthly income levels, and set ceilings accordingly. Sometime back, the NBP introduced its �Cash n Gold� scheme, which offered up to Rs35,000 in personal loan against each 10 grammes of net contents of gold (in the form of jewellery or gold bars). �The interest rate under the scheme is also a bit lower than the going rate on personal loans, and that has made this scheme a huge success,� boasts a senior NBP official. Meanwhile, Habib Bank�s acquisition of the consumer loan portfolio of Citibank in April 2013 has also made an impact on consumer financing trends. Citibank, being a pioneer of consumer banking in Pakistan, had been catering to first-class borrowers in this area. The taking over of this clientele, by a large network bank like HBL, has made local banks� competition fiercer. �Salary Plus,� an overdraft facility for HBL account holders (also launched in April 2013), and similar schemes of other banks continue to enlarge personal loan volumes. Whereas large commercial banks take advantage of bigger branch networks, medium and small banks don�t find themselves restricted in consumer financing either. They rely more on online banking and try to offer better customer care services, officials of such banks say. Central bankers say the sustained growth in consumer financing remains dependent on two key factors � economic growth and banks� ability to employ funds in the private sector rather than over-investing in government debt papers. �Once the economic growth rate for, say three to five years, averages at around five per cent, which it did in mid-2000, only then will consumer financing show consistent and real high growth,� one senior central bank says. �Recent recovery [in consumer financing] looks impressive mainly due to the low-base effect,� he insists, while recalling that back in FY07, net consumer loans of all banks had exceeded Rs50 billion. �In addition to economic growth and the banking sector�s overall environment, two things have historically affected the growth of consumer financing,� says a former executive director of SBP. The annual report of the Banking Ombudsman, however, hints at a slight improvement in the situation. It says that complaints, both formal and informal, about consumer financing fell 4.6 per cent in 2012 to 1,023, from 1,072 in 2011. Interestingly though, one-fourth of overall complaints about banking practices were related to consumer financing.